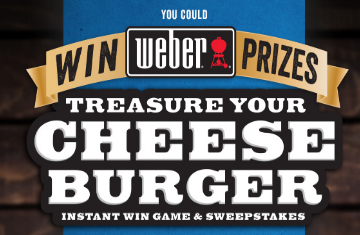 Treasure	Cave® Cheese “Treasure Your Cheeseburger” Instant Win Game and Sweepstakes – Win a Weber Grill & more! ENTER SWEEPSTAKES HERE – Treasure Cave Cheese Facebook page. ENTRY LIMIT – one (1) Game Play/Entry per person per e-mail per day during the Entry Period. ELIGIBILITY – Sweepstakes is open to all legal U.S. residents physically residing in the 50 United States and District of Columbia who are 18 years of age or older, at time of entry, and have reached the age of majority in the state of residence. SWEEPSTAKES ENTRY PERIOD – Treasure Cave® Cheese “Treasure Your Cheeseburger” Instant Win Game and Sweepstakes starts at 12:00:01 AM Eastern Time (“ET”) on May 24, 2016, and ends at 11:59:59 PM ET on August 31, 2016. 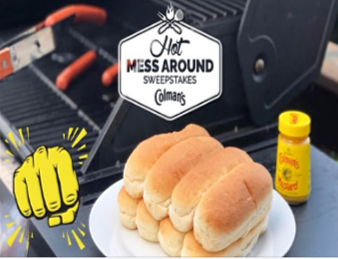 PRIZES – Grand Prize (1):One (1) grand prize winner will receive all of the following items: one (1) Weber® Spirit® SP-330TM LP stainless steel grill with premium Weber® grill cover, one (1) Weber’s® Big Book of Burgers™, one (1) Weber® Essentials™ stainless steel spatula, and fifty two (52) Treasure Cave® cheese coupons, each good for the purchase of one (1) Treasure Cave® cheese product valued up to $4.00. The ARV of the Grand Prize is $954.93. 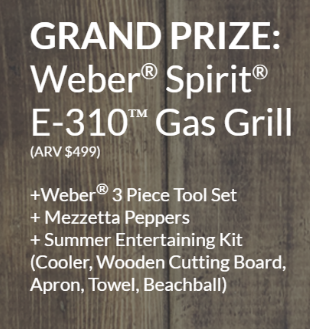 First Prize (1): One (1) first prize winner will receive all of the following items: one (1) Weber® Spirit® E-210TM LP grill in black with premium Weber®grill cover, one (1) Weber’s® Big Book of Burgers™, one (1) Weber® Essentials™ stainless steel spatula, and five (5) Treasure Cave® cheese coupons, each good for the purchase of one (1) Treasure Cave® cheese product valued up to $4.00. The ARV of the First Prize is $506.93. cheese product valued up to $4.00. The ARV of the Second Prize is $306.94. A “Jumbo Pack” consisting of: one (1) Weber® Jumbo Joe® charcoal grill, one (1) Weber’s® Big Book of Burgers™, one (1) Weber® Essentials™ stainless steel spatula, and five (5) Treasure Cave®cheese coupons, each good for the purchase of one (1) Treasure Cave® cheese product valued up to $4.00. ARV: $127.93. 95 prizes. A “Performer Package” consisting of: one (1) Weber® Performer® charcoal grill in black, one (1) Weber’s® Big Book of Burgers™, one (1) Weber® Essentials™ stainless steel spatula, and five (5) Treasure Cave® cheese coupons, each good for the purchase of one (1) Treasure Cave® cheese product valued up to $4.00. ARV: $306.94. 3 prizes. A “Spirit Package” consisting of: one (1) Weber® Spirit® E-210TM LP grill in black, one (1) premium Weber® grill cover, one (1) Weber’s® Big Book of Burgers™, one (1) Weber® Essentials™ stainless steel spatula, and five (5) Treasure Cave®cheese coupons, each good for the purchase of one (1) Treasure Cave®cheese product valued up to $4.00. ARV: $506.93. 2 prizes. 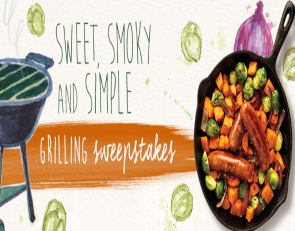 Earth Balance Summer Grilling Sweepstakes – Win a portable grill & more! 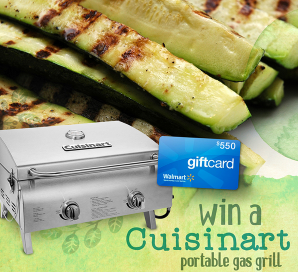 Win a Cuisinart portable Gas Grill and $550 Walmart gift card! ENTER SWEEPSTAKES HERE – Earth Balance Sweepstakes page. ELIGIBILITY – The Earth BalanceTM Promotion is open to all legal residents of the U.S. who are at least eighteen (18) years of age as of June 30, 2013. SWEEPSTAKES PERIOD – The Promotion will begin at 8AM Mountain Standard Time (“MST”) on June 1, 2015 and end at 11PM MST on June 30, 2015. 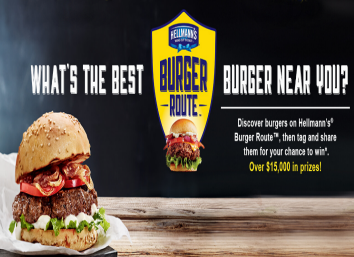 PRIZES – (1) $200 Cuisinart Professional Portable Gas Grill and $550 gift card to Walmart to (1) person. 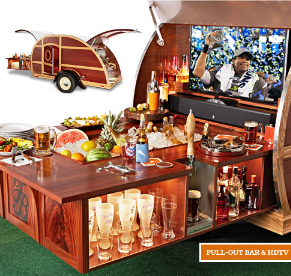 Tommy Bahama The “Ultimate Tailgater” Sweepstakes – Win a Woody teardrop tailgate trailer! Win a Woody teardrop tailgate trailer (worth $70,000)! 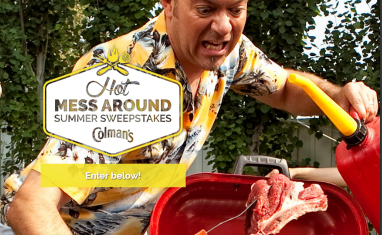 ENTER SWEEPSTAKES HERE – Tommy Bahama Sweepstakes page. ENTRY LIMIT – Limit: Each entrant may enter one (1) time per day by any method or combination of methods of entry during the Promotion Period. ELIGIBILITY – The “Ultimate Tailgater” Sweepstakes is open only to legal residents of the fifty (50) United States (including District of Columbia) who are at least eighteen (18) years old at the time of entry. SWEEPSTAKES PERIOD – The Sweepstakes begins on September 16, 2014 at 12:00 a.m. Pacific Time (“PT”) and ends on November 4, 2014 at 11:59 p.m. PT. 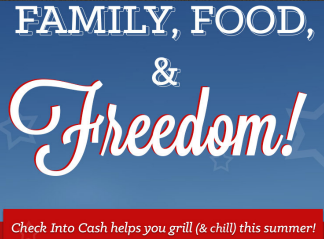 Check Into Cash “Family, Food, and Freedom Giveaway” Sweepstakes – Win a Char-Broil Grill! 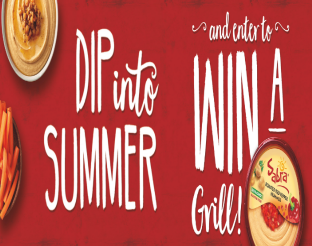 Win a Char-broil gas grill! ENTER SWEEPSTAKES HERE – Check into Cash Facebook page. ENTRY LIMIT – Limit: One (1) entry per person during the Promotion Period. ELIGIBILITY – The Check into Cash “Family, Food, and Freedom Giveaway” is open to all legal residents of the 50 United States and the District of Columbia who have attained the age of majority in the state or district where they reside at the time of Sweepstakes entry. SWEEPSTAKES PERIOD – The Sweepstakes begins on July 1, 2014 at 12:01 a.m. Eastern Standard Time , and ends at 11:59 p.m. Eastern Standard Time on July 31, 2014. PRIZES – Four prizes will be given away at the end of the contest duration. Fourth Prize: Bean Bag Toss Game.